Product description: Learn how to sing like a professional with this guide to being a vocal performer. 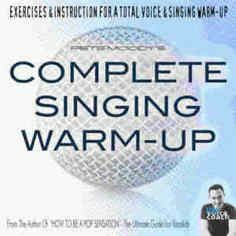 Vocal and singing exercises for beginners to advanced. Achieve the singing success you deserve. Train your voice, develop your singing style and get great tips on how to promote your singing ability. A must read for any aspiring singer. This singing guide gives you the tools you need as a performer at any level. Easy to read with powerful results. Teach yourself to sing the effectively with inspirational guidance. Get 10 Top-Tips to help you practice and feel good about your vocals. This free printable sheet provides information for beginners to get started with their singing practice.